It’s the day before your wedding and you’re beaming with happiness and love. You’re surrounded by your best friends. Your fun cousins, who you haven’t seen in a year, have flown down for your wedding. And your crazy uncle is over by the bar, cracking jokes with your soon-to-be father-in-law. Oh did we forget to mention, you are about to marry the love of your life… what could go wrong? Let’s fast forward past the champagne toast, the wine with dinner and of course the great idea to continue the rehearsal dinner party at the bar down the street where shots and beer seem to magically appear in your hand at every turn. Now it’s the morning of your wedding and instead of cold feet, you have a monster hangover. This is the moment our team at Hydrate Medical steps in to get you feeling refreshed, revitalized and ready to say your vows. Hydrate Medical’s mobile service will come to wherever you’re getting ready and give you and your wedding party a hydration drip. We will fit ourselves into your wedding day plans so you won’t miss out on hair, makeup and wedding day photos! 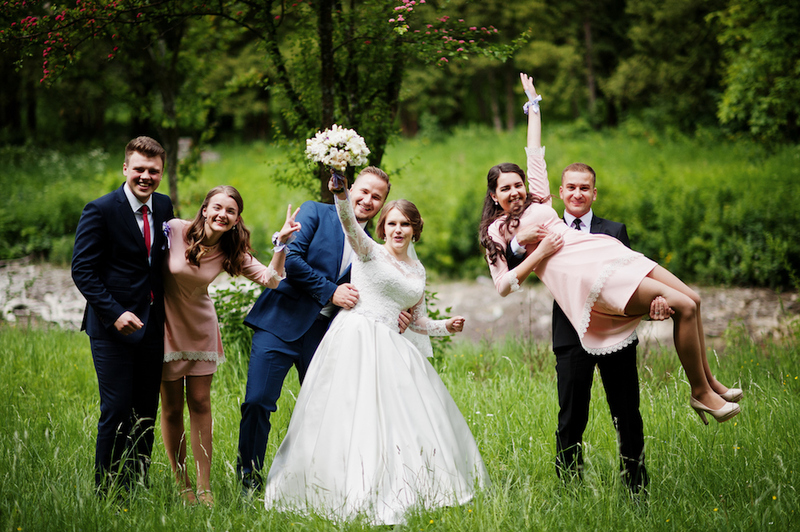 Our IV hydration therapy only takes 45 minutes and you will get 100% absorption, which decreases your recovery time, prevents upset stomachs and renews energy so you can dance the night away with your new bride or groom. Help your bride, groom and wedding party plan ahead for a possible wedding day hangover. Or maybe your bride wants to have a special, refreshing glow as she walks down the aisle… along with those tears of joy. Hydrate Medical also offers exclusive incentives to wedding professionals who set up their clients for a wedding day drip. Fill out the contact form below to learn more about our special referral program. Contact Us About Our Wedding Day Drips!